Carved and water gilded in 23.5ct. 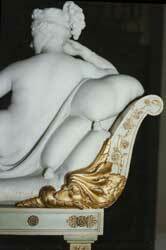 gold, a Sea Serpent's Head on the day-bed supporting a Carrera marble copy of the statue of Paulina Borghese by Canova. 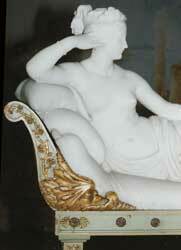 The original Sea Serpent's Head is behind the statue.